We played by ourselves (and in 3:15) in magnificent California weather! Magnificent day on the links! We did some happy hour by ourselves and then headed to Khoury’s to dance for a while! We finished the evening with Christmas movies! 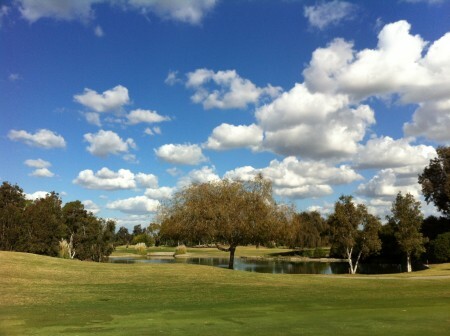 This entry was posted in Dancing, Fun and tagged Golf, Khoury's, Old Ranch, TV Movies. Bookmark the permalink.